Red Ivory forms part of a beautiful 400 acre private game conservancy with wildebeest, kudu, impala and many small buck roaming freely. We offer 19 well-appointed air conditioned guest suites, providing accommodation for up to 38 guests. Our suites enjoy stunning views of the Magaliesberg mountains and Hartbeespoort Dam and are all situated in natural bushveld a short distance from the venue. A Range Rover courtesy vehicle is available to assist guests if required. Rates include a delicious breakfast accompanied by bottomless Lavazza coffee and teas as well a range of fresh juices & infused water. Room service is offered on request. We offer sixteen stylishly decorated bedrooms. Our rooms each have a king sized bed, are air-conditioned and have facilities for tea, coffee and an espresso machine. *Our guest villas comprise two spacious bedrooms and a shared bathroom and are suitable for family/close friends. The suites are all air conditioned, well-appointed and have ample secure parking. All premium suites are reserved by the bride & groom for weddings. We offer three exceptional premium suites, the Suite de Lourenço Marques, the Luxor Suite and the Marrakesh Suite. The suites are all very spacious and with an open lounge area. 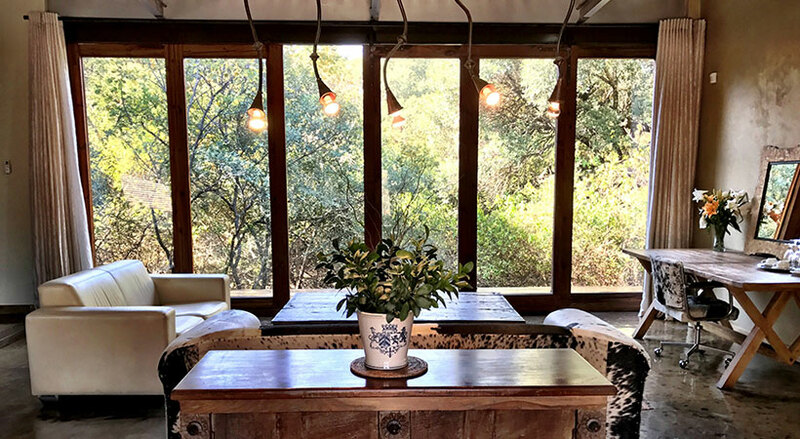 Each suite is decorated with fine art, unique furniture pieces and Persian carpets and enjoy wonderful views of mountain ravine and bushveld. A magical mixture of contemporary design, sumptuous cuisine & breath-taking views, Red Ivory specializes in extraordinary moments, from exquisite weddings, a destination for classic cars to exclusive dining experiences.